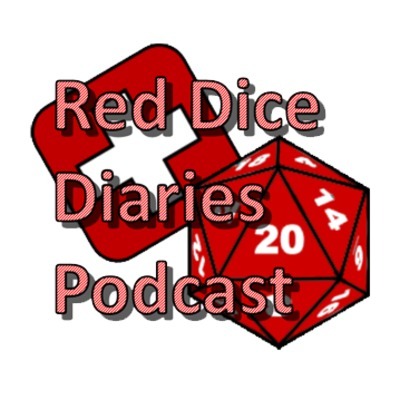 The is The Red Dice Diaries podcast, a rambling journey through the wonderful world of RPGs from the viewpoint of a long-time GM and player. In this podcast episode I'm joined by Whitt, John Drury and Lloyd Gyan to talk about the role of the GM in tabletop RPGs. In the second episode of our new ASSH2E campaign, can our heroes break free from the misty embrace of the Chamberlain to continue their exploration of Gul Garak's tower? In the fourth episode of our Thousand Lands B/X Essentials game our heroes push on to the castle, eager to settle their issues with the Dark Eye, but are they willing to pay the terrible price? Vlog about last night's pre-LARP drinks evening in Coventry. In the first episode of our new ASSH2E campaign, a group of heroes meet in exotic Zanarkan, City of Thieves and of a Thousand Delight, with plans to plunder the tower of the fabled and reclusive necromancer. I ramble a bit about LARP & RP friends. I answer some voicemails, chat about recent RPG acquisitions anc what I'm doing this weekend. In the third episode of our Thousands Lands B/X Essentials, hex-crawl campaign, our heroes press on into the Hoon Hills in search of the hideout of the evil thieves cult The Dark Eye, but they find more than they bargained for when they discover a small village and it's shining silver guardian. Unfortunately a technical problem threw the sound out of sync with the edited version so I've had to fall back on the uncut version. I chat a bit about a recent SWN session. Episode 66 - The Thousand Lands S01E02 - Stop Thief! In this episode I answer some voicemails and chat a bit about my thoughts following my first Thousand Lands hex-crawl game. In this episode I respond to a couple of voicemail messages received. In this episode, myself and Johannes Paavola begin initial discussions on a sci-fi toolkit project that we're planning to collaborate on. I'm two sessions into the second season of our Rose of Westhaven game and thought I'd talk a little bit about the current state of my bullet journal. In this episode Johannes Paavola and myself chat about our recent playtesting of 'Behind the Walls' and also discuss me taking a unique foci for my character in his Stars Without Number campaign. In this episode I talk about my recent experiences in Jason Hobb's excellent Kalmatta game. In this podcast episode I answer some voicemails and talk a little bit about group creation of settings and also settings created entirely by the GM. In this episode Lloyd Gyan, Johannes Paavola and myself discuss downtimes in RPGs. In this episode my wife Hannah and I talk about my upcoming Midderlands adventure 'Behind the Walls' and how she converted it for her Star Trek Fate game. In this episode I talk about some of the projects I've been working on and some stuff I'm planning to start working on soon. In this episode I talk about some of my ideas for more manual prep methods in my games going forward. A podcast about where we are with my Rose of Westhaven campaign, how we dealt with a TPK and what the future holds for the campaign. In this episode, Lloyd, Dennis, Mathew and myself discuss some of the pitfalls and issues to consider when starting an RPG campaign. In this episode I get some of my dis-satisfaction with Google Hangouts off my chest. Episode 41 - Am I too old for the World of Darkness? In this podcast episode, Hannah, Lloyd and myself discuss the WOD, vampires and how our playing styles have changed. In this group podcast I'm joined by Johannes Paavola, Dennis Bach, Andre Martinez and Mathew Bryan to talk about over-production in RPGs. Answering some voicemail messages and musing on an idea I've been considering recently for my Rose of Westhaven campaign. In this episode I talk about five of my likes and dislikes when it comes to RPGs. In this episode I answer a few voicemail messages that I've received about our recent OSR and V5 podcast episodes. Having just gone through character creation with people from The Grand Coterie group I talk about some of my first impressions of V5. I ramble a little about being spoilt for choice amongst OSr games and some of the strengths of such products. 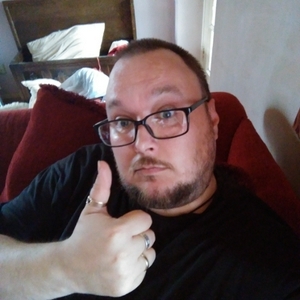 Just back from LARP I reflect on a few reasons why you might fancy playing a thoroughly good person for your next character. I'm once more joined by the excellent Johannes Paavola, we chat about SWN, the OSR and other game related stuff. In this episode I'm joined by Johannes Paavola, to talk about his V20 Sabbat game 'What Rough Beast' and the World of Darkness in general. In this episode I answer a voicemail and attempt to highlight what--for me--are the main difference between B/X Essentials and BFRPG. In this episode of the podcast I talk about why I original stopped using dice and why I picked them up again. In this episode I respond to a voicemail from Colin at the Spikepit and waffle for a bit about the value of GMs actually playing in the games they run. I talk about why it's important to maintain some mystery when it comes to your campaign world's background. In this episode I talk about some ideas that I'm slowly formulating into a campaign setting for B/X essentials. Episode 22 - But isn't it just the old B/X rules? In which I rant a bit about some stuff I recently read online where people were spouting off about B/X Essentials. I respond to some voicemail messages that I've received and also talk about some recent communication I've had with Anchor tech support. In which I ramble about my personal history with WFRP, why I'd love a review copy of the latest edition but am unlikely to shell out for a copy. In this episode of the podcast Hannah talks about her love/hate relationship with the Modiphius Star Trek system. In this episode I'm talking about countdowns, one of the tools that I use to help track plotlines in my games. In this episode of the podcast I talk about an idea for combining B/X Essentials with some elements of Warriors of the Red Planet that I've had kicking around in my head. I chat a bit about some books I've purchased recently. In this episode my lovely wife Hannah is back to talk about her method of choosing RPG books, and what she looks for. In this episode I chat about my the ongoing struggle for map supremacy between functionality and coolness/looking good. Lloyd Gyan, Johannes Paavola and myself talk about the upsides and downsides of D&D's market dominance, and I use the word "like" far too many times (I blame tiredness). In this episode I talk about my recent experiment with casual sandbox gaming, what worked and what didn't. In this episode I talk a little bit about Tremulus, a PBTA Mythos game that I very much enjoy, and a recent game that I played in. In this episode of the Podcast I talk about how you can enhance your appreciation of a game by focusing your character on the bits of the game that you enjoy. In the latest episode of our Podcast I talk about the trend for unnecessary prologue pages in some RPGs. In this episode I talk a little bit about a couple of games I'm playing in at the moment and how 'finding my fun' helped me enjoy different game systems. It's a warm Saturday in Merry Old England and I'm rambling about what grabs hold of me in an RPG. In our second episode, Hannah has been reading through my Midderlands books and takes a few minutes to talk about what she likes in them. In the first episode of the podcast I'm creating a Dresden Files Accelerated character for a game my friend is running.